If you're a regular subscriber to this website (and if you're not, what are you waiting for? ), chances are that last bottle of liquor you bought wasn't vodka. As you've been sipping $14 craft cocktails out of mason jars, the classic clear spirit has fallen "out of vogue" as more millennial drinkers are turning to American bourbon, according to a new report by The Wall Street Journal. In other words, vodka is "out" and whiskey is "in" -- our mouths. That good ol' Goose is looking particularly grey. Specifically, while American bourbons and Tennessee whiskey have pushed overall whiskey sales up 2.7% in the US market, vodka volumes dropped last year by 0.3%. 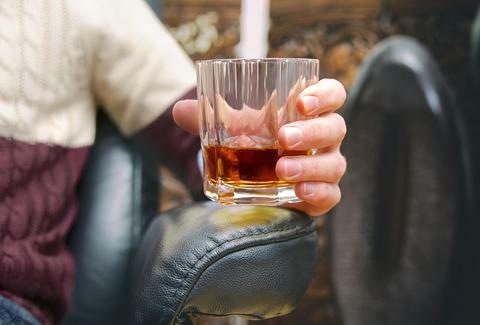 At a global level, whiskey consumption spiked 17% between 2010 and 2014, while the number of cases of vodka consumed slipped by about 2%, according to the report. For companies like Pernod Ricard SA, which owns Absolut vodka, the numbers don't add up to an absolute rejection of vodka, but sales are reportedly slowing. Just don't tell the cranberry juice industry. Tony Merevick is Cities News Editor at Thrillist and is pretty sure he's one of those millennials, whatever the hell that means. Send news tips to news@thrillist.com and follow him on Twitter @tonymerevick.